Djokovic delighted at strolling into semi after Nishikori retires - SABC News - Breaking news, special reports, world, business, sport coverage of all South African current events. Africa's news leader. Novak Djokovic wished his old foe Nishikori a speedy recovery after beating him for the 16th time in 18 meetings. 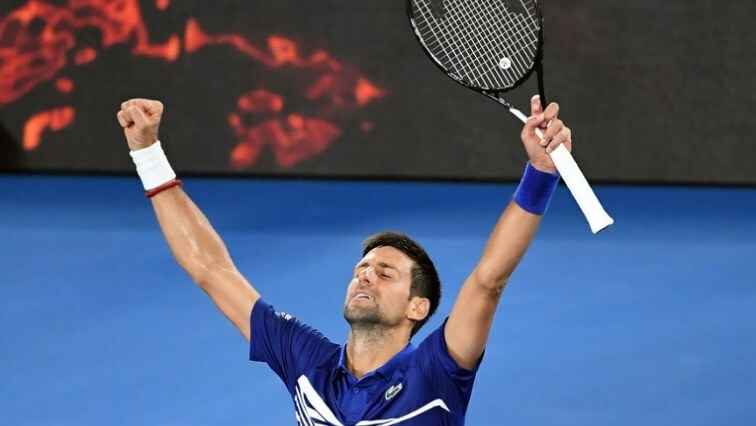 Novak Djokovic was delighted to get back into the semi-finals at the Australian Open after missing out for two years as Kei Nishikori retired injured on Wednesday. The world number one eased into a showdown with French 28th seed Lucas Pouille as Nishikori retired after just 51 minutes when behind 6-1, 4-1 in the quarter-final. “Feels great. This has been my most successful Grand Slam throughout my career, the first one that I won back in 2008,” said Djokovic, who is chasing a record seventh Melbourne Park title. “I have a lot of beautiful memories from Rod Laver Arena. “Yeah, past two years have been a bit tough with the elbow injury and everything. Over the past 10 years, I’ve had plenty of success here. Eighth seed Nishikori had endured three five-set epics during 13hr 47min on court before the quarter-final clash and suffered a thigh strain in the first set as his previous exertions took their toll. After a medical timeout and three minutes of treatment from the physiotherapist, Nishikori emerged for the second set with his right thigh strapped and taped, and courageously attempted to carry on. He seemed to be moving a little more freely, but the recovery did not last long. After being broken to go 2-1 down by the Serbian 14-time Grand Slam champion Nishikori became almost immobilised. When Djokovic broke again to go 4-1 ahead it proved the last straw for Nishikori’s brave challenge. “After third game or fourth game when I was serving, I felt pretty heavy to my right leg,” Nishikori told reporters. Djokovic wished his old foe Nishikori a speedy recovery after beating him for the 16th time in 18 meetings. “I’m really sorry to see him go through pain. He’s had some tough injuries in the last couple of years. I’m sure he’s not feeling great about ending the Grand Slam this way,” said the Serb. Djokovic was exhausted after his late-night four-set win over Daniil Medvedev on Monday and made no secret of his delight to escape the quarter-final with such a light workout. “As they say, this is exactly what the doctor ordered for me after the match two nights ago,” Djokovic said. “Not to spend too much time on the court. Top seed Djokovic will now meet 28th seed Lucas Pouille on Friday after the Frenchman reached his first Grand Slam semi-final by ousting Milos Raonic in four sets. This entry was posted on 23 Jan 2019,03:43PM at 3:43 PM and is filed under Sport, Homepage Featured Story Slider. You can follow any responses to this entry through the RSS 2.0 feed. Both comments and pings are currently closed.